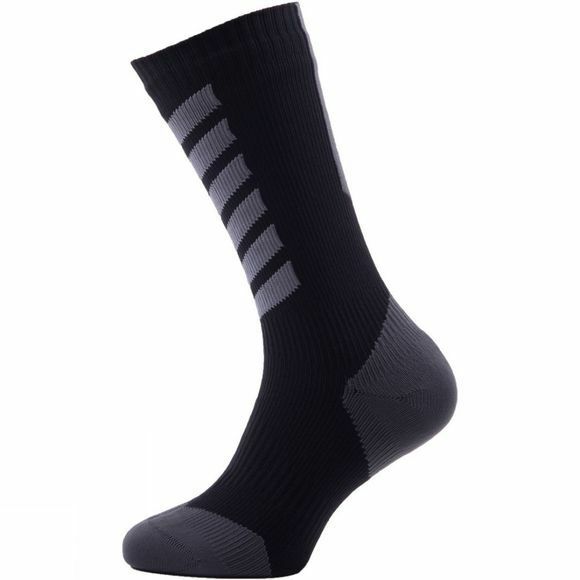 The Men's Hiking Mid Mid is a mid-weight, mid length waterproof sock perfect for a multitude of activities and conditions where an equal balance of warmth and breathability are required. 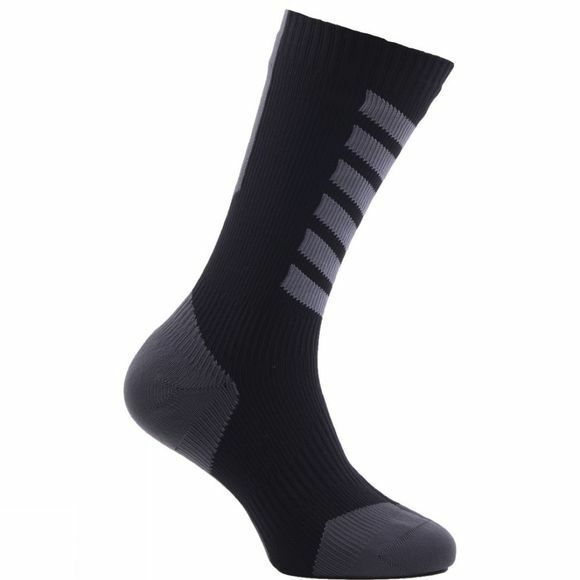 Merino wool lines the sock so moisture can be controlled, while a hand linked toe closure creates a flat seam to prevent rubbing. Padded heel, toe and foot bed absorb shock and guard against pressure and friction, again reducing the risk of blistering.